1. Challenge: Ad Blocking. 600 million devices using ad blocking, leading to a loss of $22 billion in ad revenue (PageFair). If buyers don’t ever see your ads, what chance do you have? 2. Challenge: Information Overload. Consider this: 90% of the world’s data has been created in the last 2 years. That’s 2.5 quintillion bytes of data a day (IBM). In fact, 74gb of media are sent to the average consumer on an average day (USC/ICTM). 3. Challenge: Google Hates SEO. Search Engine Optimization bloggers have been positing this question for 10+ years. With Google algorithm and platform updates including Florida, Panda, Penguin, Hummingbird, Pigeon, RankBrain, Mobile, Possum, Fred and the thousands of launches, live traffic experiments, side-by-side experiments and over 130,000 search quality tests, it makes you wonder: is this all for improving the customer experience or is some of it to thwart SEO? 4. Challenge: Buyers don’t trust brands. Or ads. This is a hard pill to swallow: 42% of consumers distrust brands and 69% distrust advertising according to a study by (Ipsos Connect). 5. Challenge: Content Doesn’t Scale. 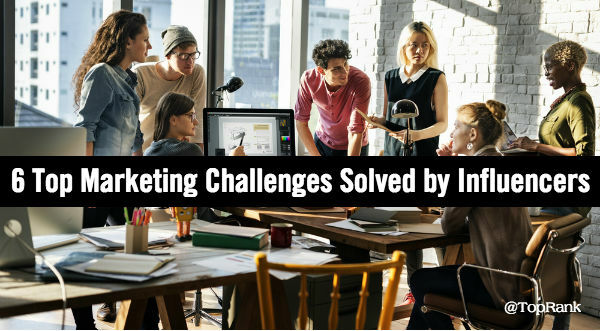 According to the annual study by Content Marketing Institute and MarketingProfs, some of the top content challenges marketers included: 60% producing engaging content, 57% producing content consistently. 6. Challenge: Organic Social is Dead. Not only is Facebook organic reach down 52% (MarketingLand) but declarations that organic reach on Facebook is outright dead for brands are being stated by many credible industry publications, including Digiday.